Who’s on MySpace™ on YOUR time? Stop your employees from unauthorized Internet use! You can’t be at the office 24 hours a day (although, sometimes it feels like it) and you can’t always see what your employees are browsing on the Internet, even when you are there. In addition to unauthorized web use equating a theft of the time you are paying them for, there is the huge risk of picking up mostly annoying, but sometimes fatal viruses from even innocent-seeming sites. Consider one true story about a small office in a Southwestern state: Because space was tight in their cozy workplace, the file server had to be located in an area where two employees sometimes worked, together. Up until the time the server was installed, the two employees shared one computer. Unfortunately, they considered the cool-looking new machine to be ‘just another work station’. They subsequently killed that file server with a nasty virus picked up from checking social networking sites while the phones were slow. Yes. They used their file server to surf the web. This cost the company owner substantial cost and downtime, which equaled loss of productivity. Not to mention the fact that company owners wish bored employees would clean the windows, instead of surfing the web when they feel they have nothing else to do around the office. But how do you reconcile these distractions with your need for the Internet in your office? Let me explain how other people have handled this dilemma: They installed a custom-configured SonicWALL™ router. It has become a very simple way for company owners to let employees know where they can and cannot go on the Internet while they are on the company owners’ dimes. 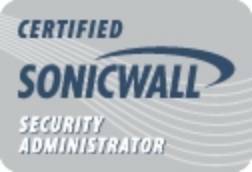 Since the art of it is in the configuration, Eddie Nelson spent time, money, and brainpower to become certified on a SonicWALL™ router. He’s not only a papered Certified SonicWALL™ Security Administrator, but Eddie really understands the concept of securely locking down an office in a real life scenario. You can reach Eddie* at 865-654-4282 and talk to him about easily getting your own little corner of peace of mind.